Thermochemical biomass conversion technologies use renewable feedstocks to produce gaseous, liquid and solid fuels to produce electric power, heat, chemicals or other types of fuel. Biomass gasification has emerged as a promising conversion technology to meet increasing global energy demands. In this study, a thermodynamic model programmed with MATLAB and CANTERA was used to study the effect of equivalence ratio on reaction temperature and producer gas during the decomposition of woody biomass in a downdraft gasifer. The composition of the producer gas was estimated by minimizing the Gibbs free energy for calculation of the equilibrium constants. A Newton–Raphson algorithm was used to find the final equilibrium state. This process began with an initial estimate for temperature of the chemical composition at equilibrium. The results of the modeling were reported based on the variation in the main indicators of the process such as cold gas efficiency and higher heating value Higher heating value. As such, variations in equivalence ratio were calculated for various moisture contents and the temperature of the reactor. Cold gas efficiency and higher heating values were maximized at optimum equivalence ratio 0.31. Gibbs free energy change through the main parts of the reactor was found to be negative and ranged from − 95 to − 280 kJ/mol. The enthalpy of oxidation was also found to be native at around − 250 kJ/mol indicating exothermic exothermic nature of the reactions in oxidation zone. However, the total enthalpy of the system increased with an increase in the temperature directing the system to be more endothermic in reduction zone (105 kJ/mol). Model predictions were satisfactorily consistent with experimental data in this study and the literature. 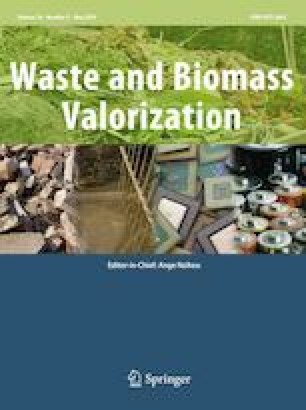 The results of this study can be directly applied to develop gasification reactors in biorefineries to enhance process efficiency. This research is funded by BioFuelNet Canada, a network focusing on the development of advanced biofuels.